This article will describe installing KVM and running virtual machine. 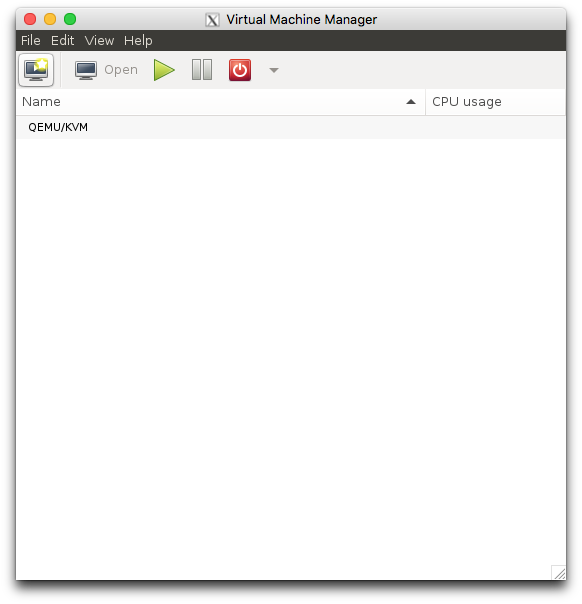 The user in libvirtd group can run libvirt command without sudo. 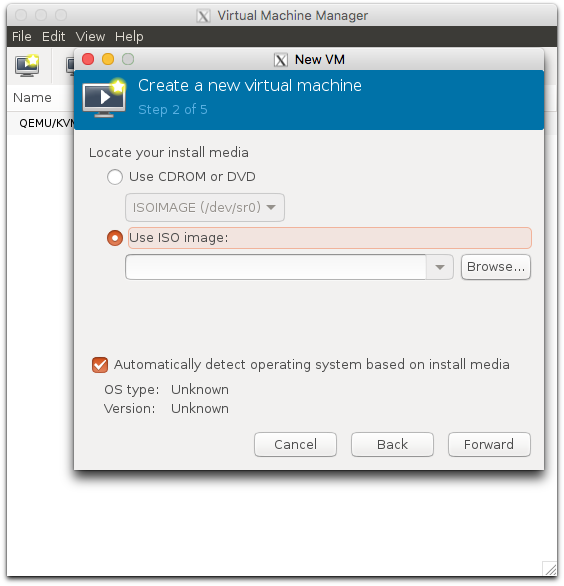 Create iso directory for sharing iso images with libvirtd group. 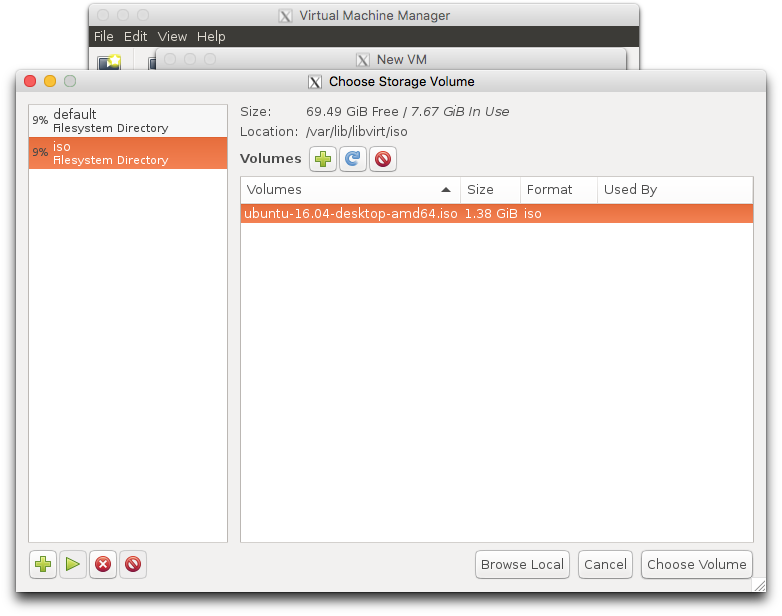 Move ubuntu-16.04-desktop-amd64.iso to iso directory. 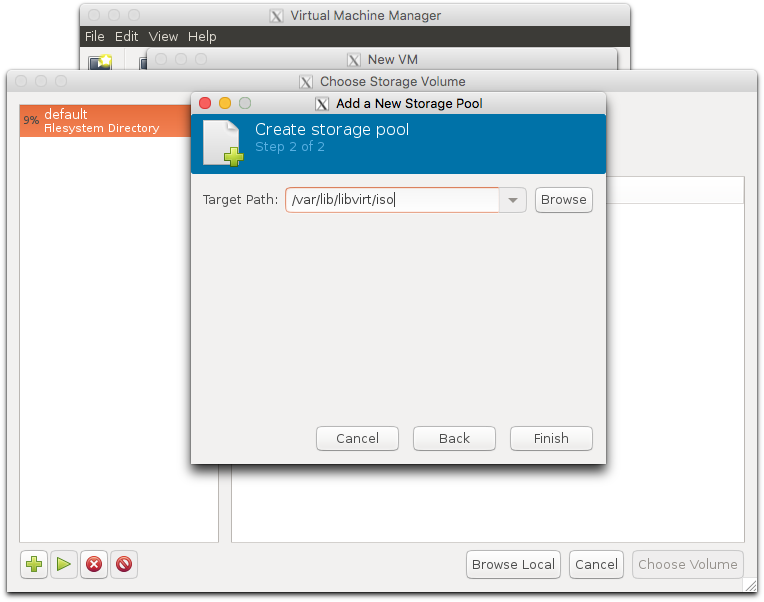 The virt-manager is a GUI frontend tool for libvirt. Create virtual machine with virt-manager. 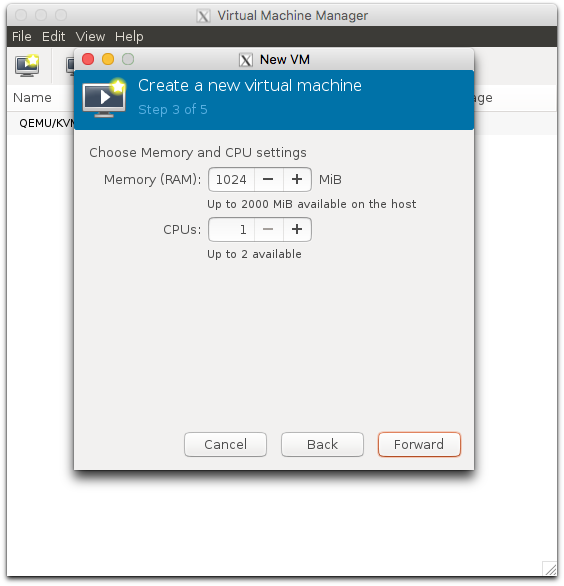 Click "New Virtual Machine" at the upper left. Select install media. This article uses ubuntu-16.04-desktop-amd64.iso in iso directory. Select "Browse" button at "Use ISO image". The iso directory cannot be found yet. Click "+" icon for adding iso directory. 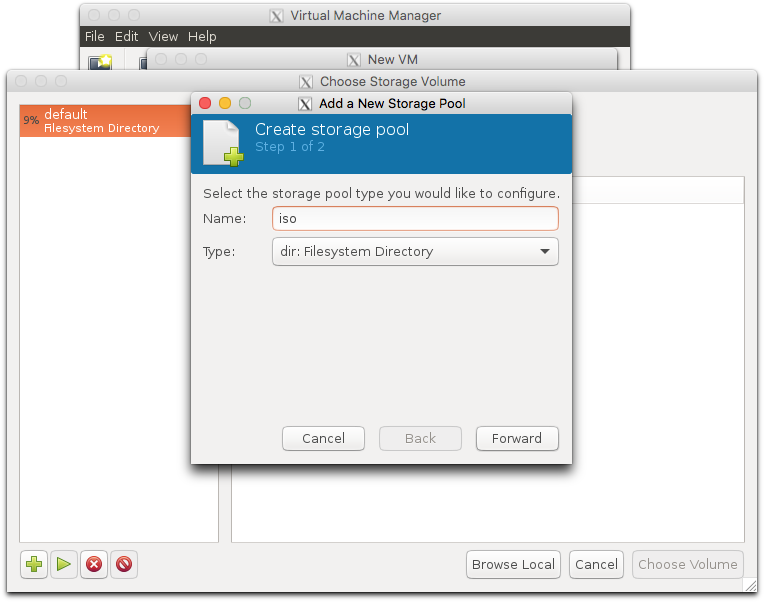 Input storage pool name and select "dir:Filesystem Directory". The iso directory can be found. Select ubuntu-16.04-desktop-amd64.iso. ubuntu-16.04-desktop-amd64.iso is selected. Select OS type for memory size calculation. The memory size can be changed after this. Input core number and memory size. Select network. "Virtual network 'default': NAT" can be accessed from other machine and "Virtual network 'default': NAT" cannot be accessed. Both network can access to other machine. 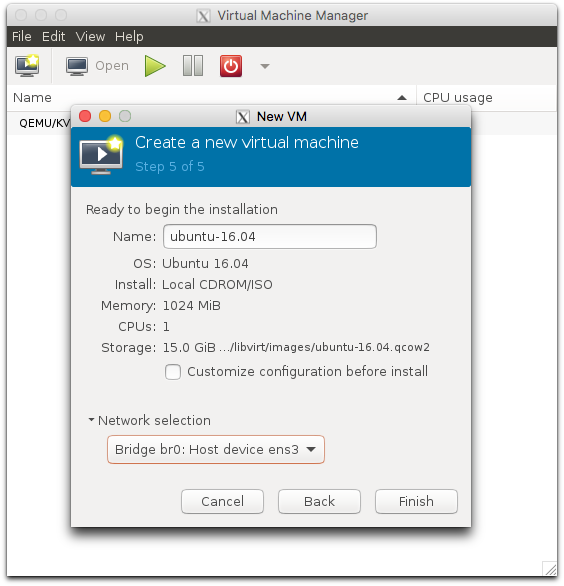 OS installation on virtual machine is starting.